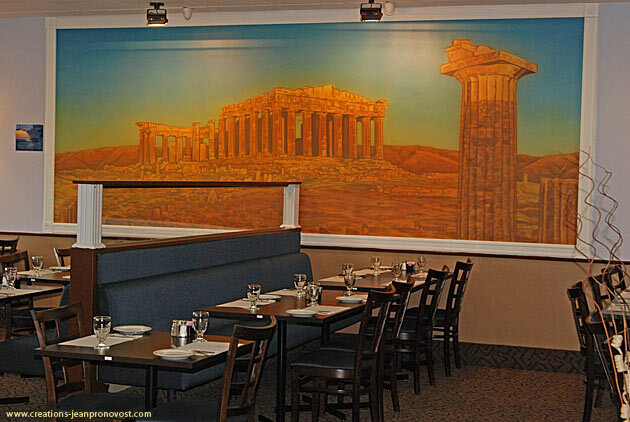 According to the client, muralist Jean Pronovost can create murals of any type or size, which can brighten one’s home, create a dynamic atmosphere for your business or, through the use of trompe l’oeil, can make a small space look and feel larger. No challenge is too great! 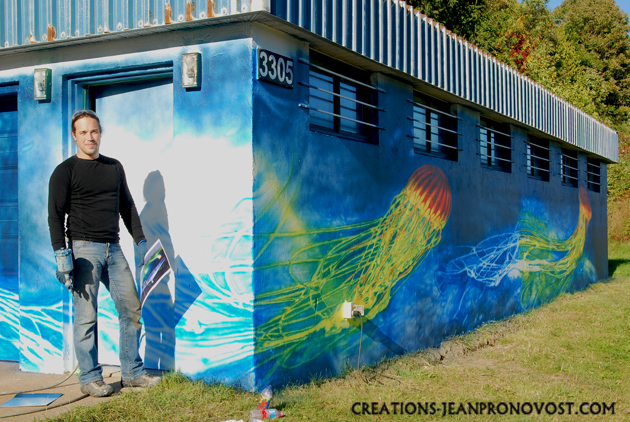 Les Créations Jean Pronovost are proud to show you their new murals infused with mythology. 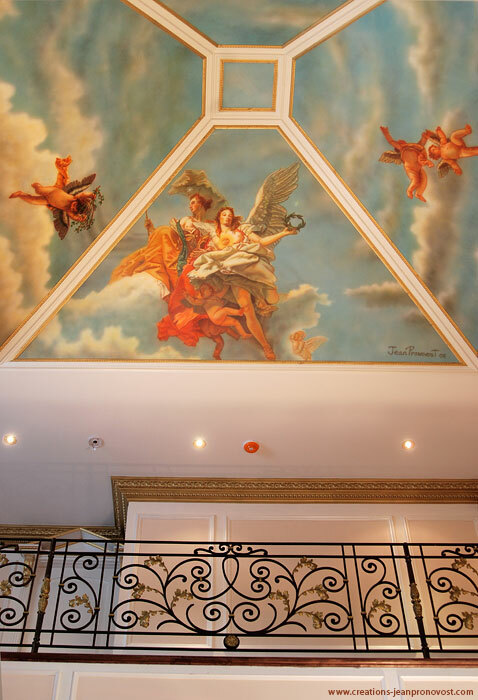 This mural project was realised for a private residence, consisting of two separate painting installed on a wall and the second on a cathedral ceiling. 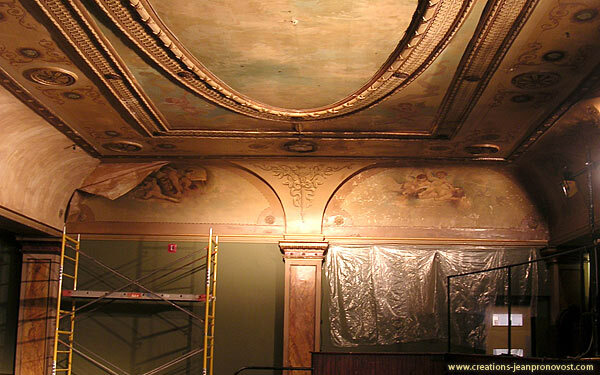 Both murals were reproduction of works by Tiepolo, a grand Italian master…. 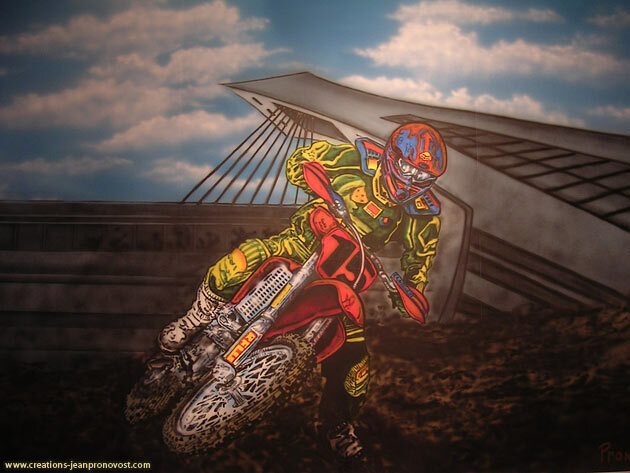 This air brush mural had been paint on a 5 by 10 feet canvas. 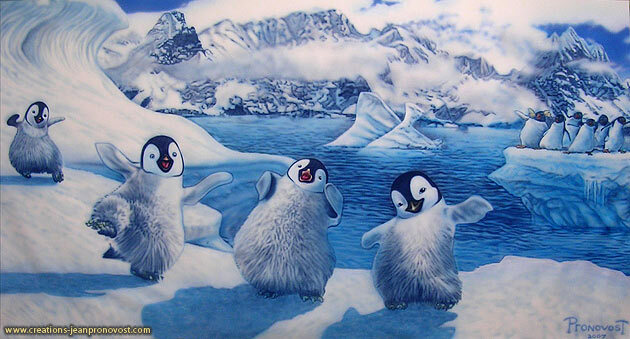 It had been done for a children bedroom and inspired by many different image from the Walt Disney movie Happy Feet. 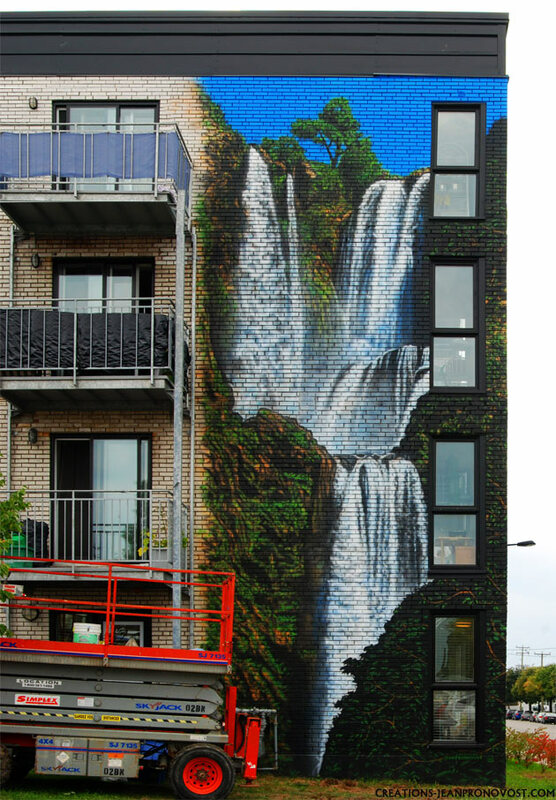 This mural had been done in 3 days of work. 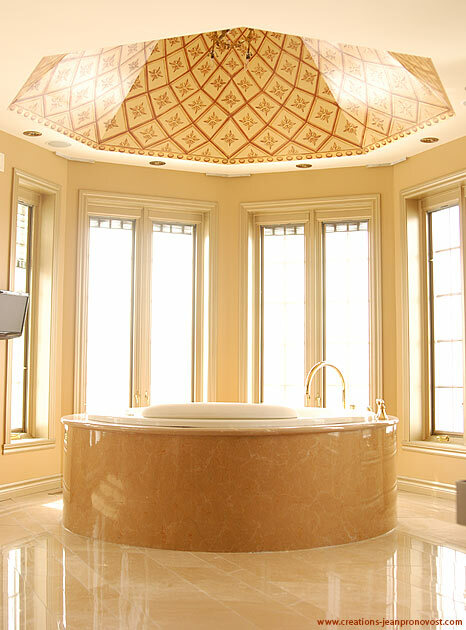 This ceiling was painted using airbrush in an alcove for a client. 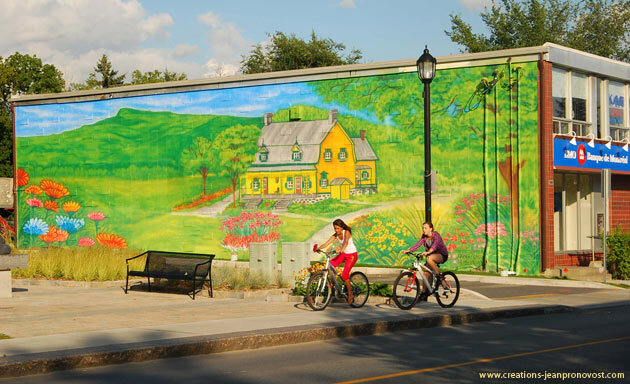 Quebec painter Jean Pronovost completed this mural In only a few days. 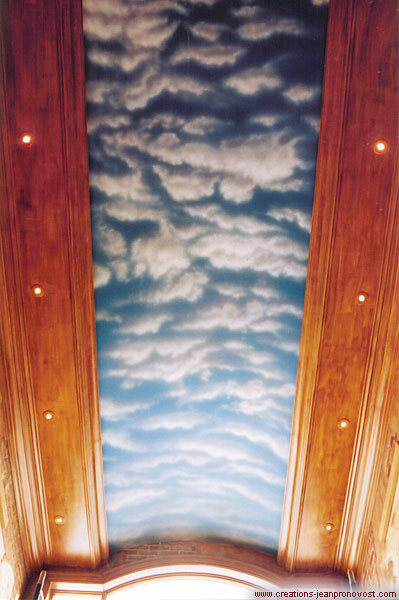 The cumulus clouds were painted following the movement of the alcove as to marry the architectural patterns. 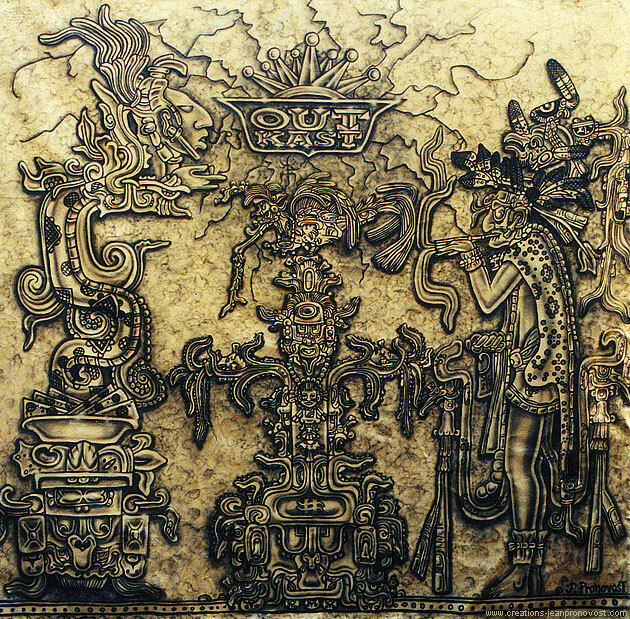 Mayan-style mural painted on an 8’x 8’ canvas for the popular hip-hop music band Outkast and featured on the front cover of XXL magazine’s December 2000 issue. 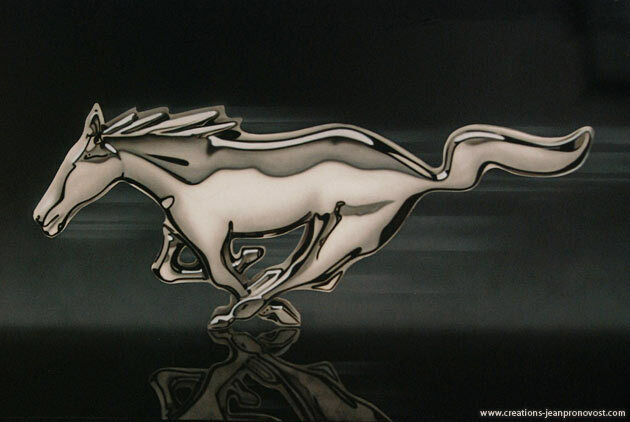 This artwork is entirely airbrushed. 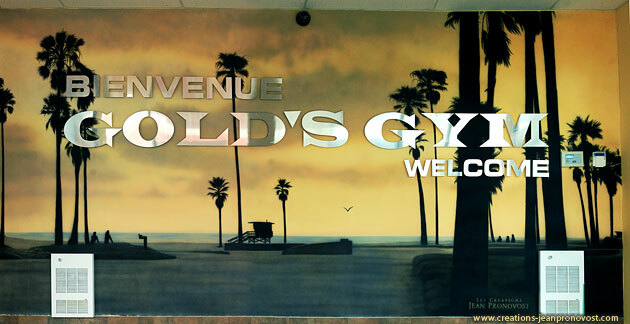 This mural had been done with airbrush on a 10 x 14 feet canvas. 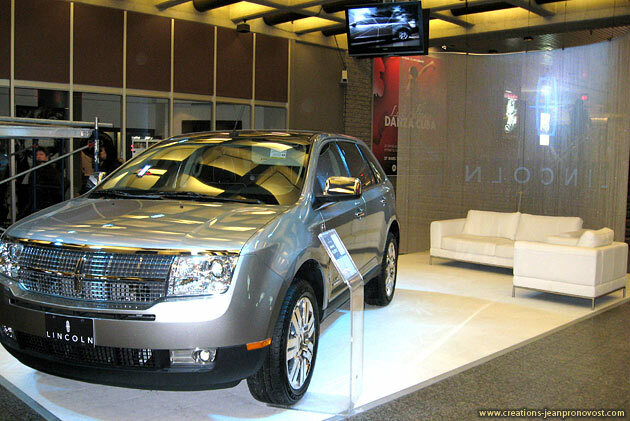 Before realisation, a concept was done with many images on Photoshop, This service can be useful to determine the final product. 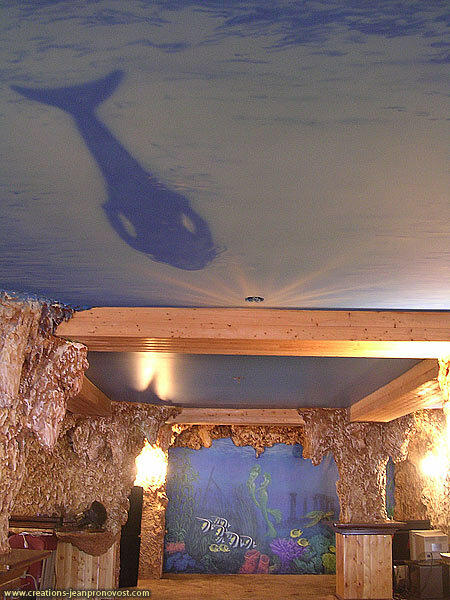 Mural with an aquatic theme, this piece was completed in 2006 in a Montreal workshop for Le Manoir de Neuville, located near Quebec City. 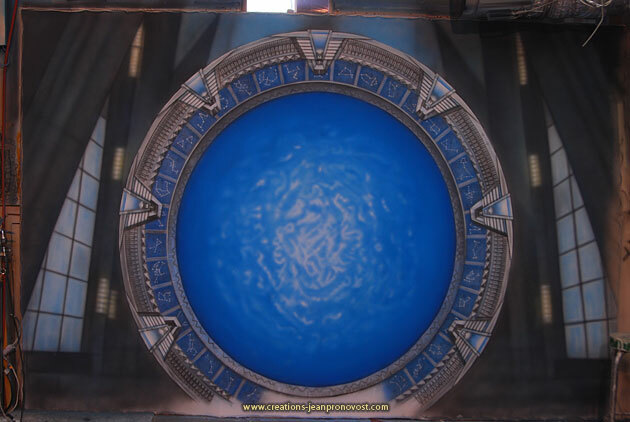 The mural was airbrushed on an 8’x 12’ canvas, then transported and hung in the Manoir, adding depth to the cave like set-up already in place…. 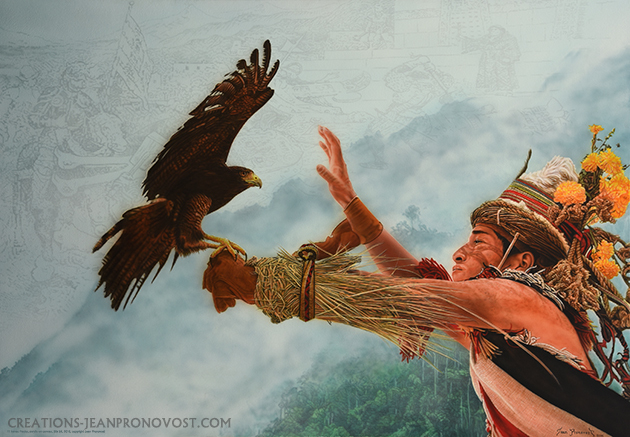 Created on canvas in 2004, this piece measuring 11’x 17’ was inspired by a Renaissance oil painting which the Montreal client selected. 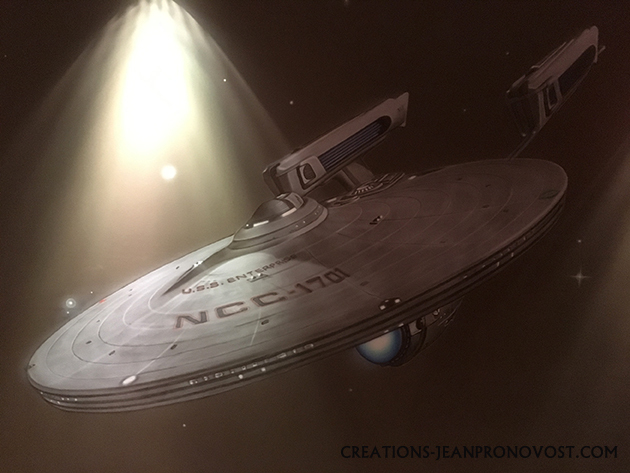 Faux-fini mouldings were added to frame the work. 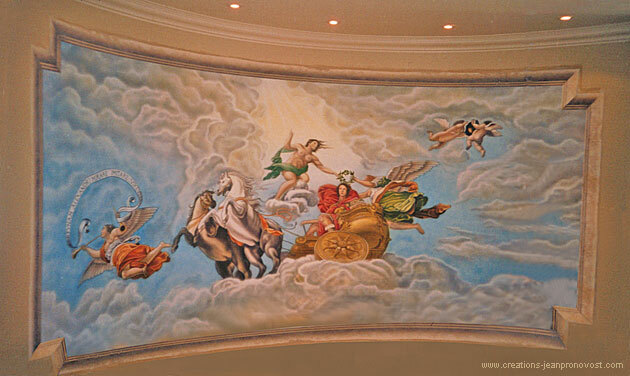 Airbrushed mural done in 2003 on a 21’x 6’ ceiling for a customer located in Montreal. 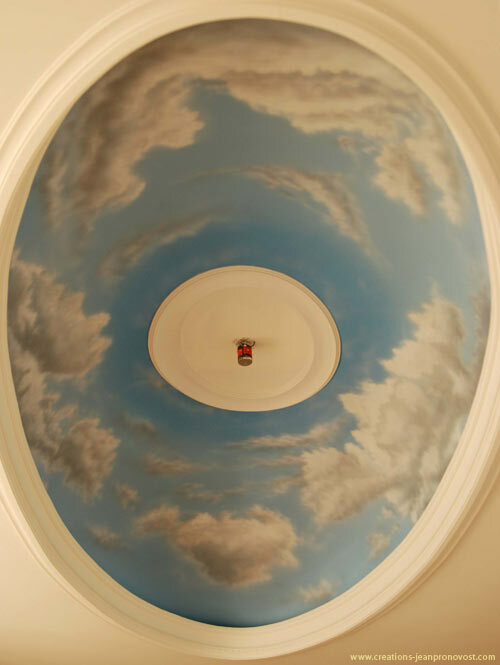 The painting of cumulus clouds on the ceiling was painted with the intent that they blend harmoniously with the sky seen through the customer’s bay windows. 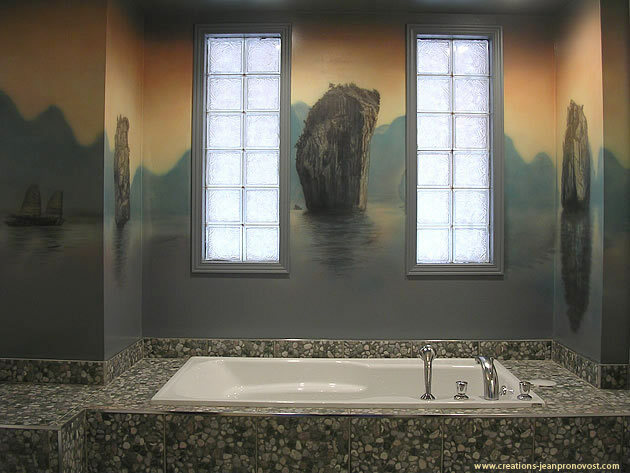 Mural airbrushed in 2006 directly onto the bathroom walls for a Montreal customer. This painting was inspired by Vietnam’s Ha Long Bay. 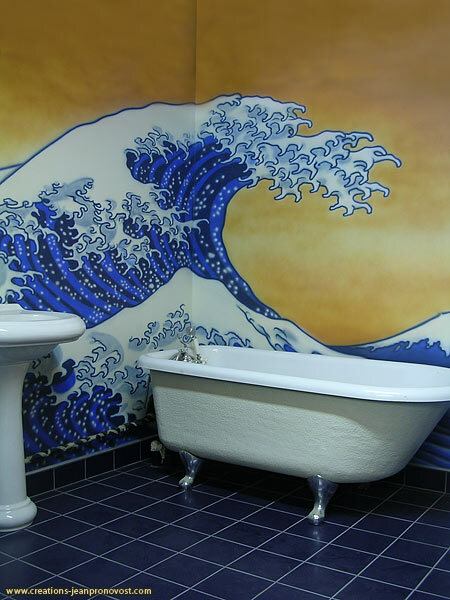 An inspiring piece, the overall effect is relaxing and adds warmth to the room, which was lacking previously. 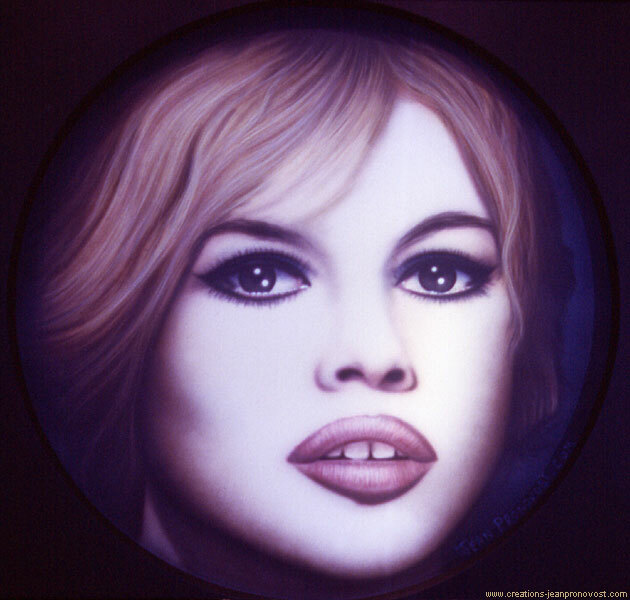 Mural painted in 2003 on an 8’x 8’ circular canvas of the French actress Brigitte Bardot for Marie-Eve, a design store in Montreal. 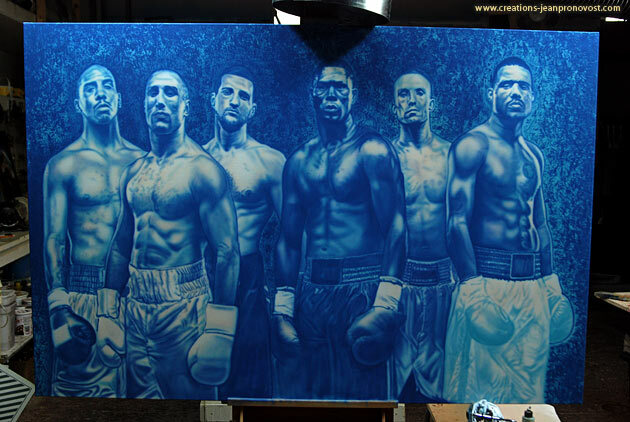 The portrait was airbrushed by Jean Pronovost in hyper-realism style. 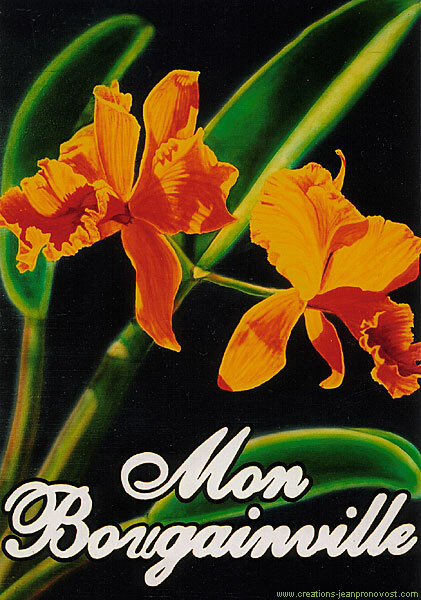 Airbrushed mural of an orchid created in 2006 on a 5’ x 3.5’ panel board for Montreal florist Mon bougainvillier. 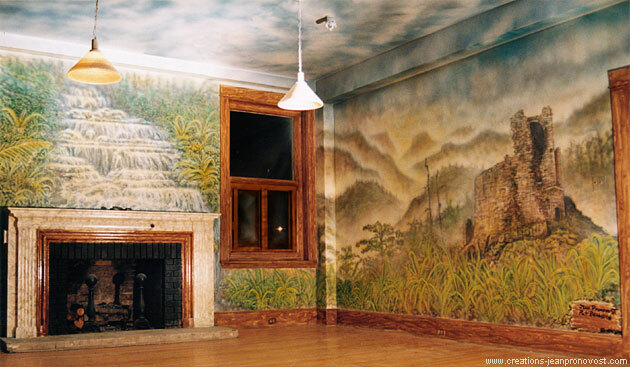 This mural was created in 2003 and is located in the conference room of Patrick Labbé’s artist camp in Quebec City. 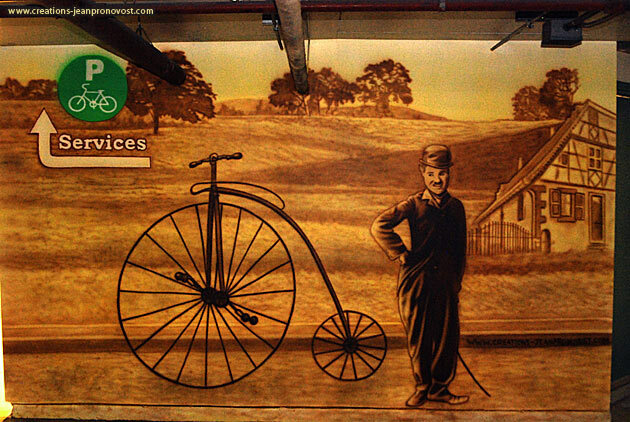 It was a large scale project involving a number of murals which were created for the organisation’s offices. 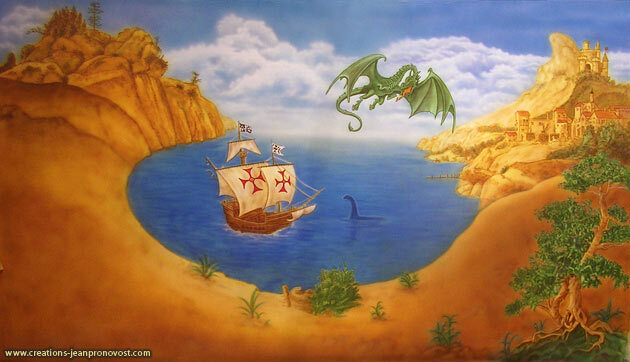 Mural airbrushed on a 8’x 8’ wall of a child’s bedroom. 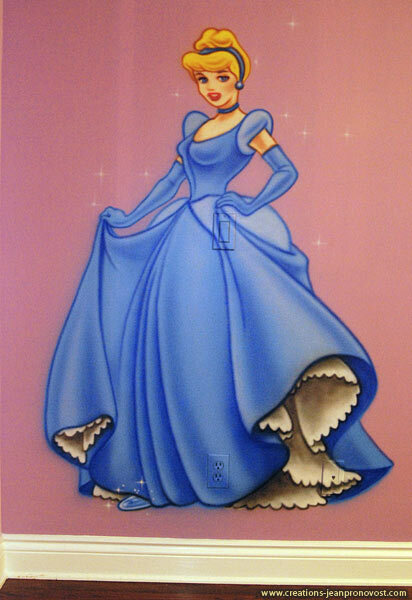 Commissioned by an individual from Montreal and was inspired by a found picture by the child’s mother.